Can distinguish the between user scrolling and programmatically scrolling? How to use OpenCV functions in Metal on iOS? I am following Apple sample code AVCamPhotoFilter to display camera feed on a MTKView. In addition to above MTKView, I need to display a second MTKView. However, the second one will be displaying exactly the same content as the first one. So I do not want to duplicate the code and do work twice. Is there a way I can simply pass on the texture to the second MTKView and draw without doing work twice? If you set the framebufferOnly property of the first MTKView to false, you can submit commands which read from its drawable texture. Then, you can use a blit command encoder to copy from the first drawable's texture to the second's, if they are compatible. Otherwise, you can draw a quad to the second drawable's texture with the first drawable's texture as the source for texturing the quad. Personally, I think I would prefer all of the rendering to go to a texture of your own creation (not any drawable's texture). Then, copy/draw that to both of the drawable textures. I was wondering if there is a way to set pan audio to play on the right ear only for all music operating in the background. The idea would be to be able to start the app then any song played for example through Spotify or anywhere else would be played on just the right side. I am guessing it is not possible as this seems like too much control however I am wondering if anyone has an idea of how it could work. 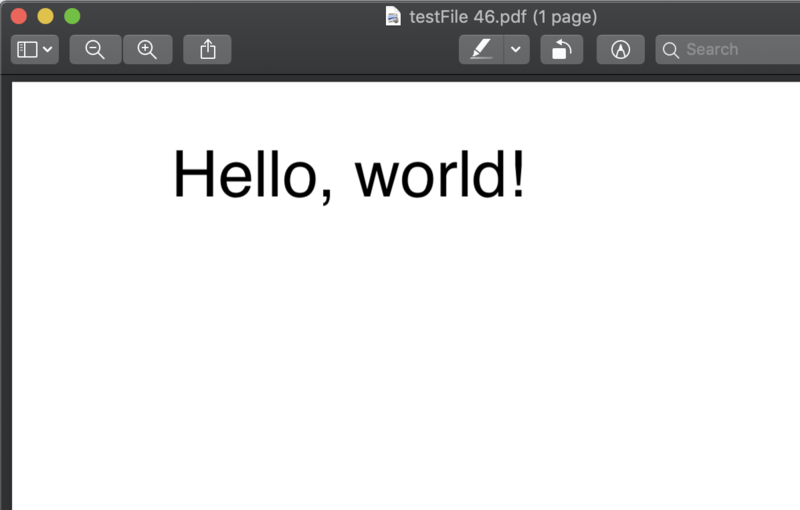 I'm generating a PDF on button click, and all is fine until I attempt to add an image. See here for an example of how easy this is supposed to be. If I take my example image, which is just a black square and base64encode it using this great resource and drop the output into aforementioned link here it works fine. Before I get to my code I also want to add that I'm console.log(...) my encoded string and paste that into the aforementioned site and it works fine. However, I'm missing something, because the image simply isn't showing up. I'm also going to include some comments in my code which represent guidance and further questions. // using NSString, NSFile I think. I'm posting my question with the code in its current state. // I'm not sure why this is needed, but it fails otherwise. I've put a scroll event on scrollViewDidScroll. But when the user scrolls, It also works when using setContentOffSet. I want to make it work only when the user scrolls. I am doing a project for fun, I have created a tab bar but unfortunately it pushes a new view and I am trying to implement it in my home controller. Can someone explain or show me how to make the tab bar appear in my home controller. Thank you. The main result of what I am trying to accomplish is that when I am on the home page the tab bar will display also. I want to make some hours rows have silver font color to tell the customer it is not available. did anyone know how to do it. When I try to replace images in the AppIcon catalog, it scales down the images for example the 40px it scales it to something like 3.xxxxxxxxxx and height like 4.xxxxxxxx instead of setting the width to 40 and height to 40. It was working before and I was able many times to replace images. However when installing the app the icons appear in proper size. So these resized shows in the editor only and when I see the source code for the AppIcon in the file com.apple.actool.catalog-content. 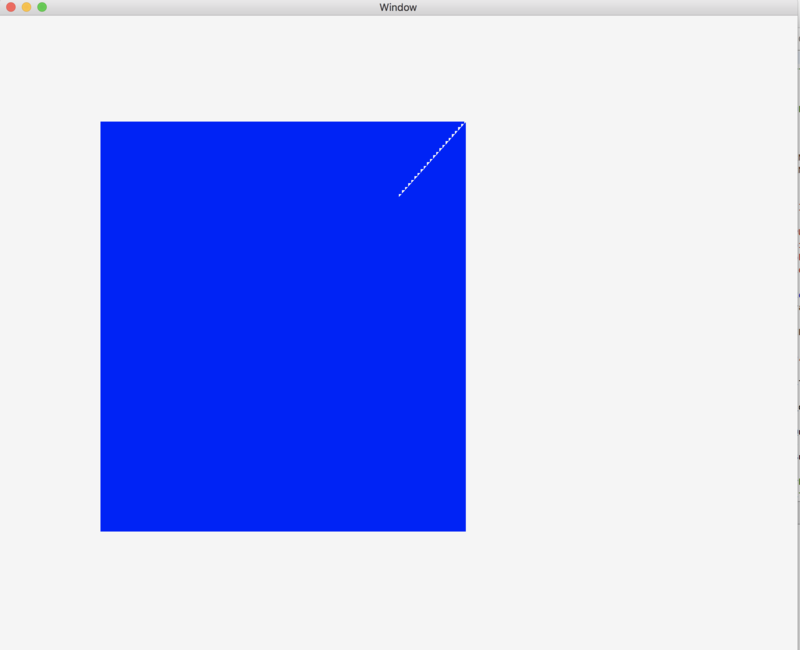 I have developed the Xcode project that uses OpenCV functions for image processing when the iPhone camera live stream. It takes some time to process one frame and doesn't look like real time. Is it possible to accelerate the calculation by integrating OpenCV and Metal? For example, OpenCV function "grabCut" takes more than 1 second to detect certain foreground objects. How can I reduce the processing time down to 10ms at least using Metal? I'm having trouble rendering semitransparent sprites in Metal. I have read this question, and this question, and this one, and this thread on Apple's forums, and several more, but can't quite get it to work, so please read on before marking this question as a duplicate. My reference texture has four rows and four columns. The rows are fully-saturated red, green, blue and black, respectively. The columns vary in opacity from 100% opaque to 25% opaque (1, 0.75, 0.5, 0.25 alpha, in that order). ...which is clearly darker than it should be in the non-opaque fragments (the bright white behind should "bleed through"). I imported the png file into Xcode as a texture asset in my app's asset catalog, and at runtime, I load it using MTKTextureLoader. The .SRGB option doesn't seem to make a difference. Notice how the top row gets gradually darker towards the right. 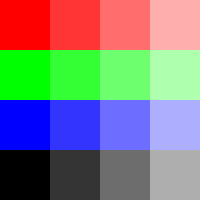 It should be the same color all along since it is blending two colors that have the same RGB component (255, 0, 0). 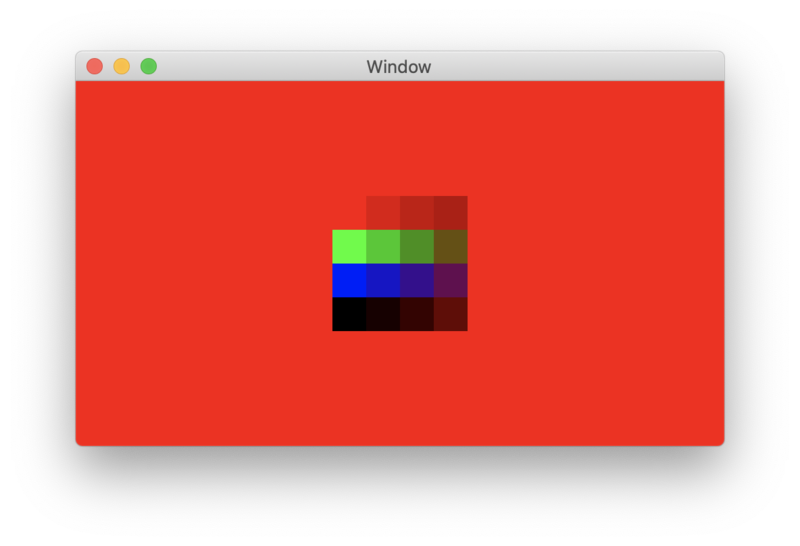 I came up across Apple's docs on using the Shader Debugger, so I decided to take a look at what happens in the fragment shader when my app draws one of the top-right fragments of the sprite (which is suposed to be fully-saturated red at 25% opacity). 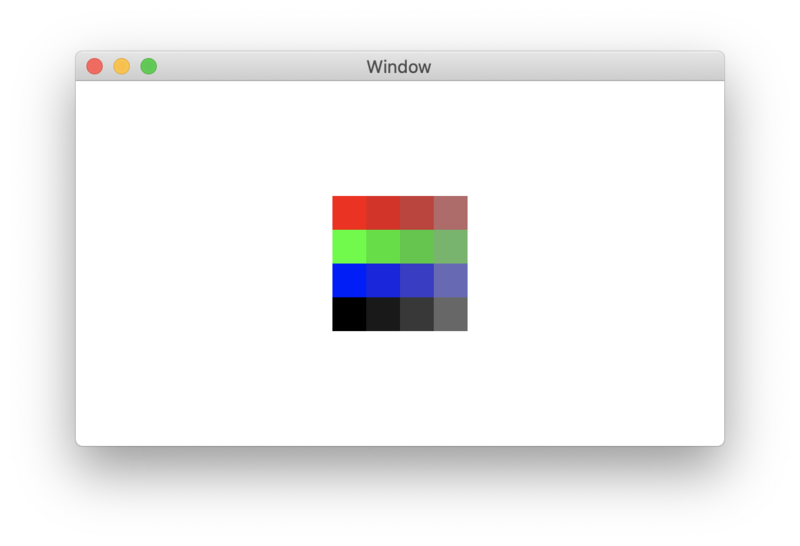 This RGBA value seems to be completely unaffected by whether MTKTextureLoader.Option.SRGB is true, false, or absent. Notice that the red component (0.314) and the alpha component (0.596) are not equal, although (if I'm not mistaken) they should be, for a fully-saturated red with premultiplied alpha. I guess this means I've narrowed my issue down to the texture loading stage...? Perhaps I should abandon the convenient MTKTextureLoader and get my hands dirty...? The initial idea was to start a camera stream, find faces in that raw CMSampleBuffer and then add some images as layers on AVCaptureVideoPreviewLayer and then take a screenshot. Found out later that the UIGraphicsGetImageFromCurrentImageContext won't work with AVCaptureVideoPreviewLayer, so taking screenshot would not solve my purpose here. So I used Metal and MTKView instead to perform some live rendering and the results are good. 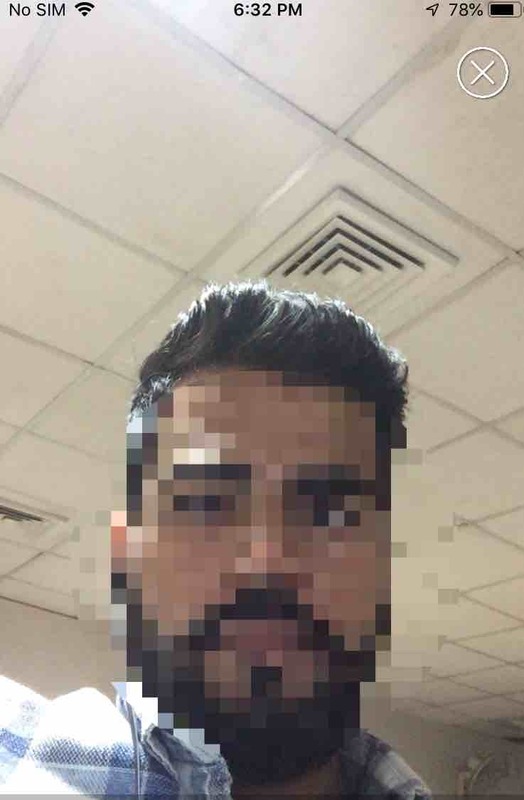 I already know how to detect faces and alter that part of the face using inbuilt iOS filters but I can't find a suitable method to add an image on to another image. Take example from the above image only, how can I blend two images with respect to positioning in the background image? I have CIImage to work with. Here is how it looks like when live rendering is done after passing CVImageBuffer to CoreImage filters via MTKView. I have some rendering in Metal (macOS) which is fairly expensive, but it's acceptable if the results are slightly blurred. So to optimize things I render to a texture at half the view's resolution, then upscale the result and apply a blur filter (MPS). To upscale the texture I render it to another texture first and then apply the blur filter which writes the result to the drawable. I'm looking for a technique to avoid this intermediate texture (_texture2), so that the blur filter sources its input from the original texture (_texture1). 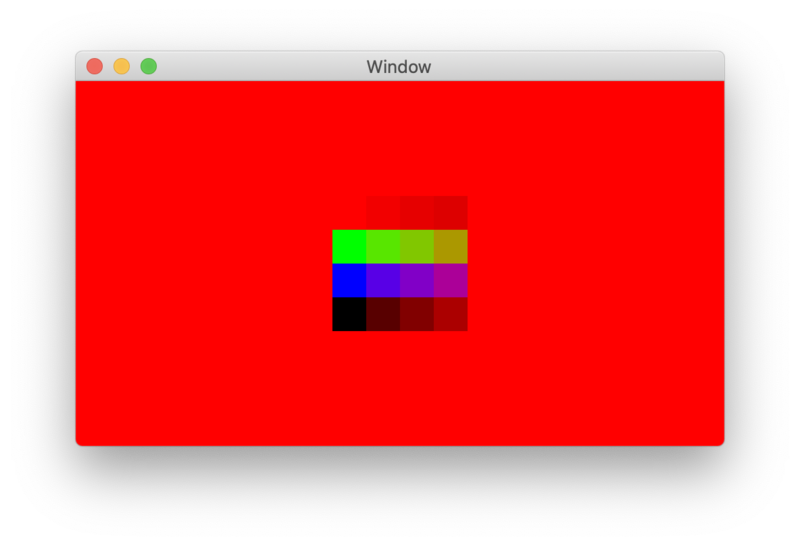 Perhaps I should write my own blur shader? kernelWeights A pointer to a weights array. Each entry is a float value. The number of entries is equal to inputFeatureChannels * outputFeatureChannels * kernelHeight * kernelWidth. The layout of the filter weights is arranged so that it can be reinterpreted as a 4D tensor (array) weight[outputFeatureChannels][kernelHeight][kernelWidth][inputChannels/groups]. Weights are converted to half float precision (fp16) internally for best performance. biasTerms A pointer to bias terms to be applied to the convolution output. Each entry is a float value. The number of entries is the number of output feature maps. Any suggestions why the deprecated call and the MPSCNNConvolutionDataSource are not producing the same results ? The parameter loading code is exactly the same. It just moved from convolution() to DataSource. I am at my very end how to find the difference between both versions. 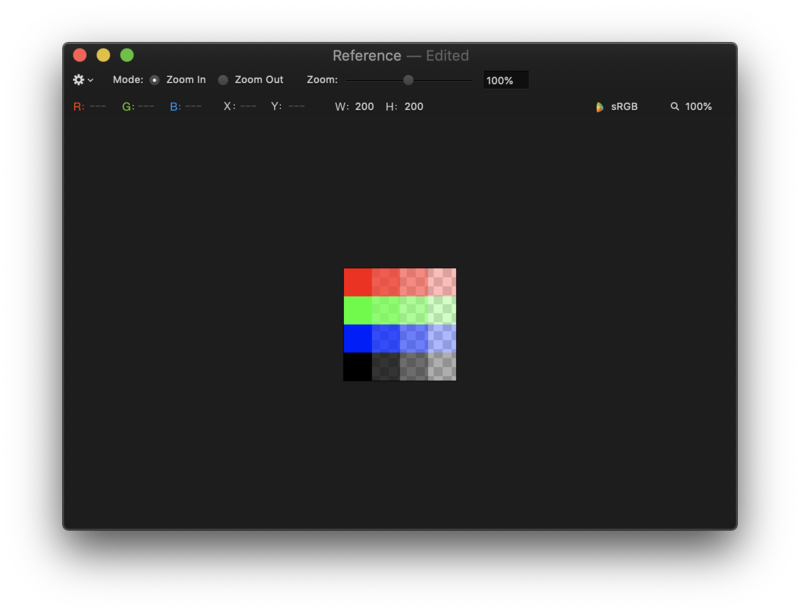 How can i read frame buffer current color in my shader for mac application. 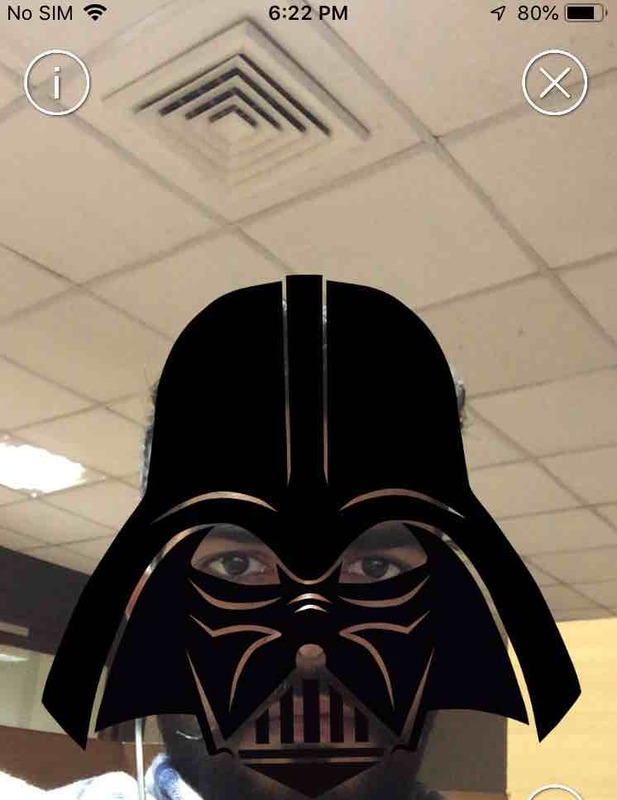 I am very easily to do same thing in ios app using [[color(0)]]. I tried using texture as shown below, some pixels are getting missed. In the output file attach, the white strip is the concerned issue.